Are you tired of shopping centre Santa photos? Do you want a unique gift for your family this Christmas instead? 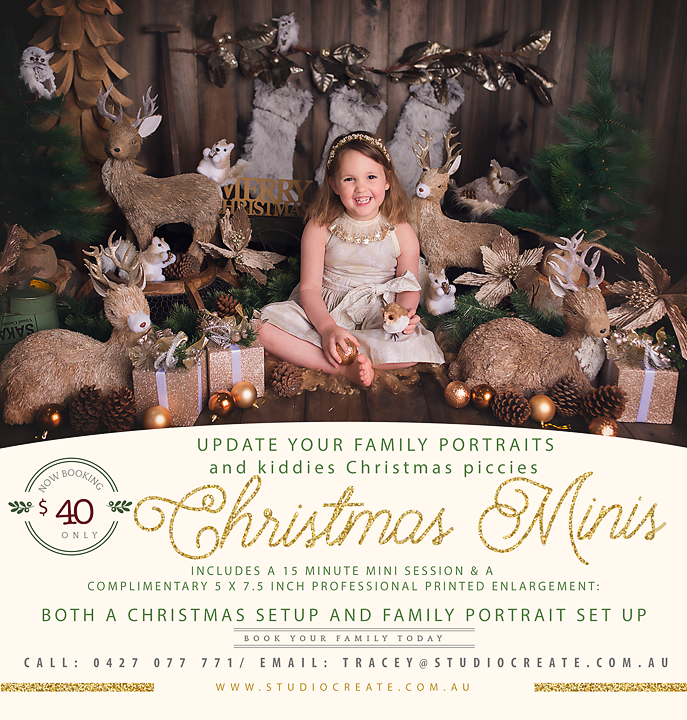 Studio Create is now taking bookings for the “Family Photography Christmas Special”. The perfect gift for the whole family – just in time for the silly season! 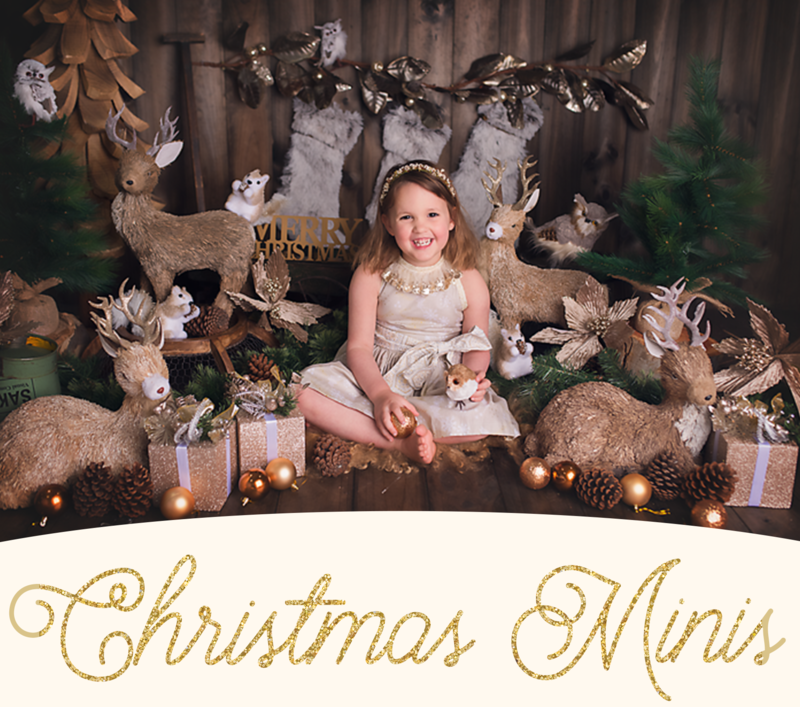 Now is the perfect time of year to capture your family at its best! Great presents for Grandparents who are hard to buy for!!!! You can print the images as you wish as many times as you like. They are high-resolution, so print to any size! Includes a 15 minute session and a beautiful 5 x 7.5 enlarged Fine Art print. ONLY $40 with the Option to purchase the 8 digital files from the session for an additional $130. This years set consists of beautiful woodland creatures, deers, owl and squirrels. All complimented in a warm woodland theme with tones of gold and green!